You may have noticed there’s a lot going on here at the minute. It’s not an exaggeration to say that in the current climate, the football is almost second fiddle to the political machinations and social unrest of the Republic of Newcastle United. Suddenly, I’m sat trying to write about the match out of nowhere and hot on the heels of the first anti-Sports Direct protest. I have an approach that I’m happy with over the next season. I am firmly behind any anti-Ashley action and believe it can be a difference maker. Suddenly we seem to be getting national attention, empathy from other fans and prominent voices in the media seeing the fans point of view. If we are to cling to any shred of hope of being rid of Ashley then making his position as uncomfortable as possible can only help. However, the fact that I’m writing this clarifies the fact that I was at the game and will be all season, which many seem to see as the ultimate betrayal, the £500 boost to Ashleyism that is keeping the Sports Direct ship afloat. If Rafa Goes We Go is a project that will sadly be likely to reach its endgame. In a year’s time there will be a choice to make, whether to walk away on principle or keep taking the black and white pill. In the meantime, we have a world class manager, a decent squad and I would say good odds of staying in the Premier League. I want to try and enjoy it on some level as it may go away forever and when Rafa, Kenedy and Lascelles are lifting the Champions League with some properly run pricks, I want to say I enjoyed them while I could. So I saw off a few pints and took to the seat I’ve been in for 23 years to see what happens this time. Tottenham’s team was full of blokes who had been involved in the final weekend of the World Cup and they seemed a bit sluggish for it. United’s rustiness was surely more self-inflicted as a result of uncertain preparation and internal distractions. It was to prove costly as Spurs got an early bit of luck. First, Dubravka dived to save Eriksen’s unthreatening shot that was clearly heading tamely wide. The flicked on corner saw Dummett sleeping a bit as Vertonghen headed it goalwards but Dubravka frantically scrambled the ball clear and Kane blasted the chance wide. 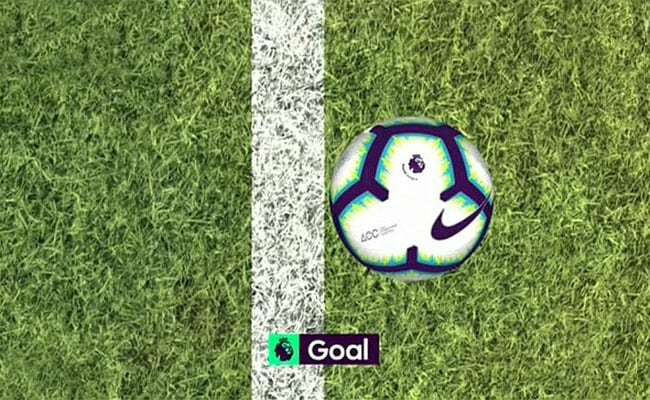 However, a terrible moment then followed where the new tangled technology told the ref there was 9 millimetres of daylight between line and ball, which shouldn’t count as it’s not enough. Proper goals should be laced into the back of the net or stick in the stanchion of the goal and this one was a fit up. Disappointing that they got two clear consecutive headers in our box though. Any thoughts that United weren’t capable of getting back in the game lasted 149 seconds, when Ritchie took Yedlin’s pass and whipped in a magnificent cross for Joselu to head smartly past Lloris, his first competitive goal conceded as a World Cup winner. Marking wasn’t great from them either come to think of it. Any thoughts that we may take the ascendancy lasted about seven minutes. Dummett’s tackle on Eriksen broke unkindly to Aurier and he hit a first time cross perfectly into Delle Alli’s run past the sleeping Yedlin, no chance for Dubravka with the resultant header. I’m sure we were alright at defending last year. By this point Spurs were worthy of the lead as we struggled to take advantage of an unexpectedly open match. A goalmouth scramble suddenly fell invitingly to Clark, but he screwed it wide when any effort on target would have seen them queuing up for rebounds. You soon got the feeling it just wasn’t our day. The second half performance was a definite step up but the universe is just against Newcastle United at the minute. Diame hit a thunderous shot that smacked against the post before our finest chance went begging in the most unlikely fashion. If you get the chance to watch the highlights of this game, please take a moment to appreciate the stunning brilliance of Joselu’s defence splitting outside of the foot pass that put Kenedy one on one in an acre of space. Surely he couldn’t miss this? Unfortunately, Kenedy’s awful first touch was reminiscent of a Brazilian predecessor in the United shirt, Fumaca (anyone “lucky” enough to have witnessed his brief Newcastle career will attest to the astounding ball control), and Lloris got a chance he never should have been given. We had to be grateful to Dubravka at the other end for a couple of smart stops, particularly in denying Sissoko a goal that would have been hard to stomach. Probably not as hard to stomach as the fact that if he stuck in here he might have had a World Cup winners medal mind. The visitors were threatening but I get the feeling Spurs will be far harder to beat in a couple of months when they’ve pulled themselves together a bit, and this was starting to feel like a missed chance. Joselu had a great game, but it was still a sense of relief to see Rondon enter the fray and he immediately got in amongst it, with Shelvey’s tremendous pinged pass to pick out his powerful run hopefully a sign of things to come. The Venezuelan went close to a debut goal when he took another Shelvey pass on the edge of the box and turned his man before a heavy deflection saw the shot drop agonisingly onto the crossbar. This was getting frustrating. However, just as the introduction of Rondon added impetus, Rafa’s next substitution took it all away. Ritchie had been at his hyper productive best, running, probing and creating throughout, but maybe Atsu might mix it up a bit. Atsu was bloody awful, running down blind alleys, giving away possession and generally looking like he’d rolled up still drunk off Friday night. Spurs suddenly took the majority of possession and the match fizzled out. The ironic twist in the tale was a 90th minute injury forcing Yedlin off the field, as I stood and wondered which midfielder or under 23 prospect was actually our back up right back. From today’s performance this team could do alright, but there is so little back up for certain key personnel that a couple of incidents like this could prompt a disaster. Fixtures aren’t exactly kind either are they? Oh well, I’m determined to enjoy it while I can.